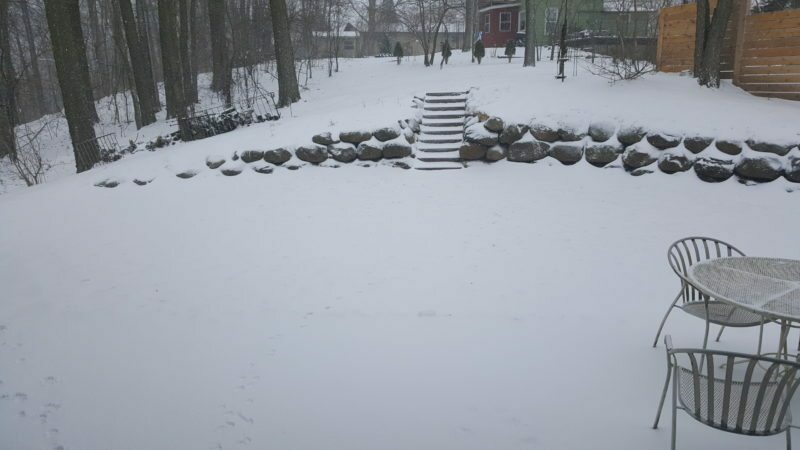 This is the view in my backyard this morning–mid-April in Wisconsin! We are expecting another 2-4 inches tonight. Where did spring go? Does this affect the buying and selling season? You bet! When the weather advisories tell you to stay inside due to slippery road conditions, people heed this advice, especially on the week-ends. I have staged some beautiful houses lately, but since we haven’t seen spring yet, showings and Open Houses are lower than normal. 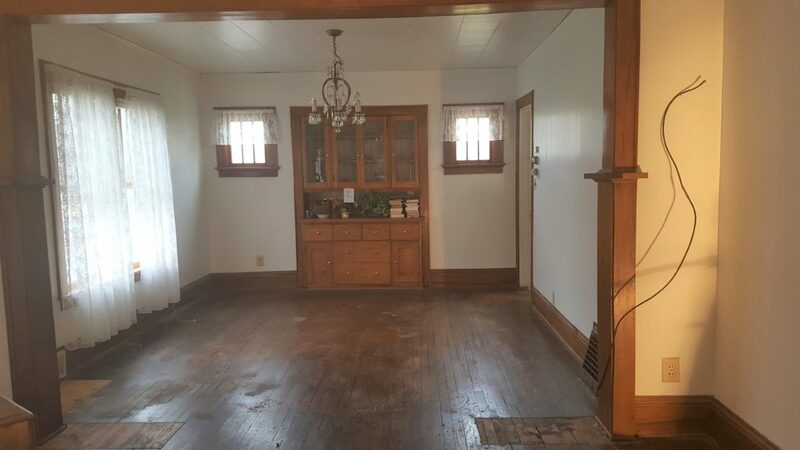 After a successful estate sale last week-end, it was time to clear out what was left and then remove the carpets to reveal the original oak hardwood floors. Once carpeting was removed, each room looked larger. With older homes, there are small fixes from previous ways the home was used. For example, the heat registers used to be located on the floor itself, but years ago the HVAC system was updated. 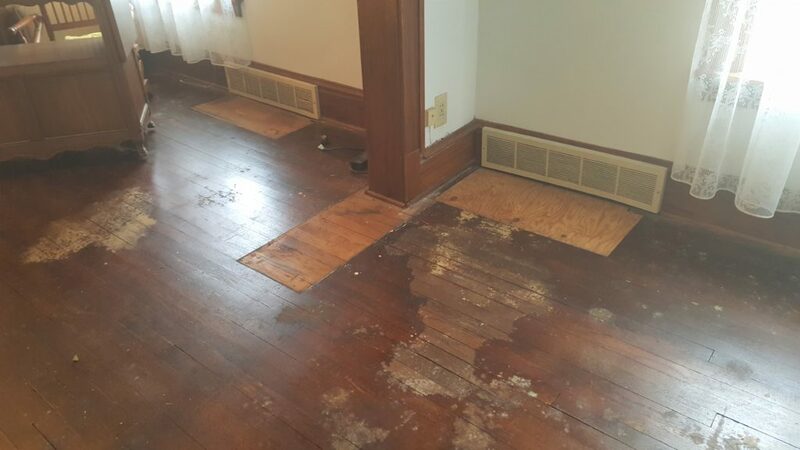 A floor contractor will need to remove the plywood and weave in narrow oak flooring, then refinish the floors. With most homes, stairs creak over time. 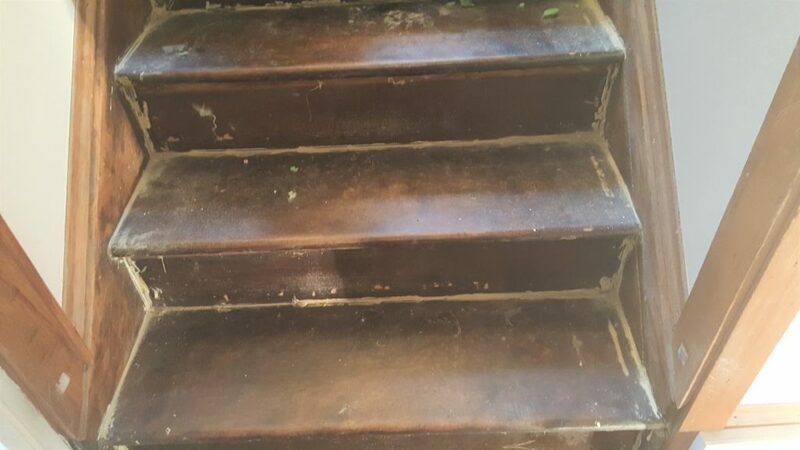 The previous owner used caulk to seal any movement, then carpeted the stairs. We will remove the caulk, tighten loose boards, then clean and polish them. To prevent the treads from being slippery, one could put low-grit sand into the varnish or fasten those non-slip strips onto each tread front. So, when is a good time to list a house? Whenever it is ready. You only have one chance at a first impression, so it should be a good one. The Madison, WI housing market is booming. The problem is there aren’t as many listings as in previous years. Some buyer’s agents are advising their clients not go above the appraised price, which sometimes mean they lose out on purchasing a house. However, those agents are protecting their clients should they need to sell within a few years due to unforeseen circumstances. Premiere Stagers and Realty is here to help you stage and/or list your house whenever you are ready. Call 608-345-9396.